Advanced solutions to meet the needs of the entire product lifecycle. With the many innovations in SOLIDWORKS 2018, companies can accelerate time to market and their innovation processes while reducing product developments costs. As SOLIDWORKS users have come to expect, more than 90 percent of 400+ projects in the release (50 percent in CAD) are customer-driven. I (Kishore Boyalakuntla - Senior Director, Product Portfolio Management and SOLIDWORKS brand UX leader) want to thank all of the users who shared their deep insights with our product design team and helped us deliver another fantastic release. I also want to thank the thousands of users who participated in the Beta testing process (online as well as on premise); your feedback is invaluable and has helped make SOLIDWORKS 2018 a best-in-class release. At SOLIDWORKS we believe in giving our customers choices – for example, the choice between perpetual or term license – and with SOLIDWORKS 2018, you can choose between a Machine License or an Online License with flexibility to move between the two. Online licensing is the perfect choice for home use and for the multi-faceted engineer who is mobile, perhaps moving between Engineering and the Manufacturing floor. SOLIDWORKS 2018 empowers engineers and their entire organization to leverage and participate in building intellectual property. 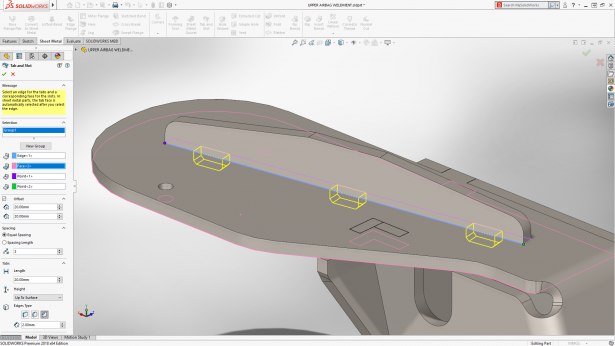 In the design-to-manufacturing process it enables Smart Manufacturing – engineering data with or without 3D PMI to flow beautifully to Manufacturing (SOLIDWORKS CAM), Inspection, Data Management, Simulation (Topology Optimization), Marketing (Visualization) and fosters collaboration among stakeholders. With Distributed Data Management, small to medium-sized enterprises can implement Project Management, ECO/ECN, BOM management with dash-boarding and reports. The ease of use and implementation is very similar to SOLIDWORKS PDM. Mechatronics is inevitable in many product designs – with Mechanical, Electrical, and Electronic integration with IoT. SOLIDWORKS is the best design tool to enable the design of connected things. SOLIDWORKS 2018 delivers best-in-class design tools for Connected Objects with several partner solutions that enable IOT with analytics. 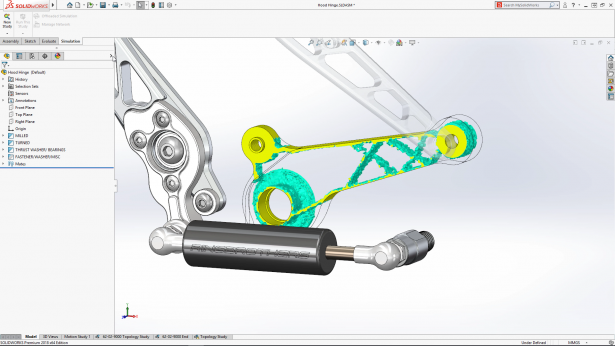 SOLIDWORKS 2018 also brings several new, disruptive technologies to market – SOLIDWORKS CAM is now included with SOLIDWORKS Standard, Professional, and Premium subscription. Likewise, best-in-class topology optimization is included with Simulation Professional and Premium subscriptions. 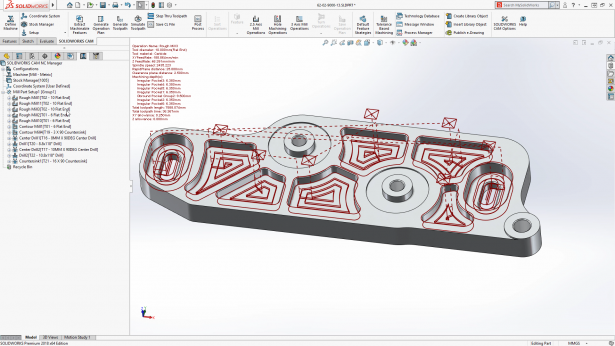 There are many innovations in core SOLIDWORKS with 3DInterconnect, Combined Mesh and solid modeling, Tab and Slot design, modeling with touch, and more. SOLIDWORKS Manage is a disruptive distributed data management solution for small to medium businesses that have decided not to implement PLM. To know more about the SOLIDWORKS 2018, attend a reseller launch event.